“Mum can Sarah come for a sleep over?” Hmmm, okay we will work something out (says mum) “How about tonight then! !” “Please….” Well I didn’t quite mean NOW. How often has this happened to you? Don’t despair apart from feeling a bit ambushed; this is actually a great sign of how your child is going in the social world. Having friends, going to birthday parties and sleepovers are routine for most kids and a great sign to parents that they ‘have friends’. Friendships are important. So important that pediatrics says the “friends that your children make can be the most important and rewarding relationship of their lives!” Friendship also relates to personal development and success in the world. The American Academy of Pediatrics states that "making friends is one of the most important missions of middle childhood -- a social skill that will endure throughout their lives." The list of benefits is long. 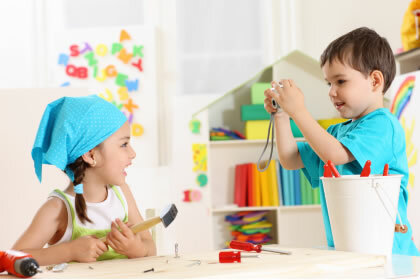 Friendships provide children with more than just fun playmates or people to hang out with. It is through interacting with friends, children learn important social skills –like how to communicate, cooperate, solve problems, and make decisions. They learn that different situations and different people call for different behaviors. They learn how to lead, how to follow, how to set up rules, how to win, and how to lose. They learn to deal with satisfaction, anger, aggression, and rejection. By comparing themselves to others, children come to understand who they are through their social relationships. But not all children find this easy, some struggle with friendships and have trouble making and keeping friends. So if you notice that your child isn’t talking about friends, isn’t invited to birthday parties or over to play then it could be a problem. Especially if they are anxious about it also. How can you as a parent help? Children learn by imitating parents behaviour, so think about how you interact with others daily, respect how your child makes friends, some are quick other take a while to warm up. Children need practice so be sure to invite other kids over or set up play dates at the local park. Be sure to listen as your child talks to you about friends and friendship problems. Sometimes children just need more practice so join the activities and think about the example you set to your children. So encourage and enjoy their friends!